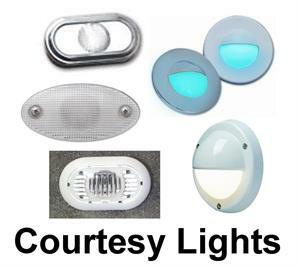 See where you're going inside your boat at night without being blinded! Courtesy and step lights used by builders will provide nice low-level lighting! Upgrade or add LED courtesy lights and step lights!